Is the Power worth the price? • A detailed exploration of the relics — unique magical items usable in any World of Darkness chronicle — and how to incorporate them into your game. • Includes ready-to-use relics, from the perplexing to the uber-powerful, ready to be included in any World of Darkness chronicle. Each comes complete with detailed background and storytelling hints. • Offers several variations of toolkit for creating customized relics and cursed items that can be used by any World of Darkness character. • Details dozens of new Powers for modifying the ready-to-use relics or building your own. 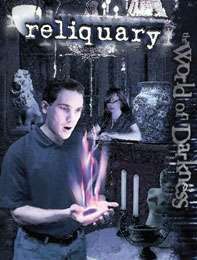 • Contains new Merits related to researching, creating or using relics in the World of Darkness.